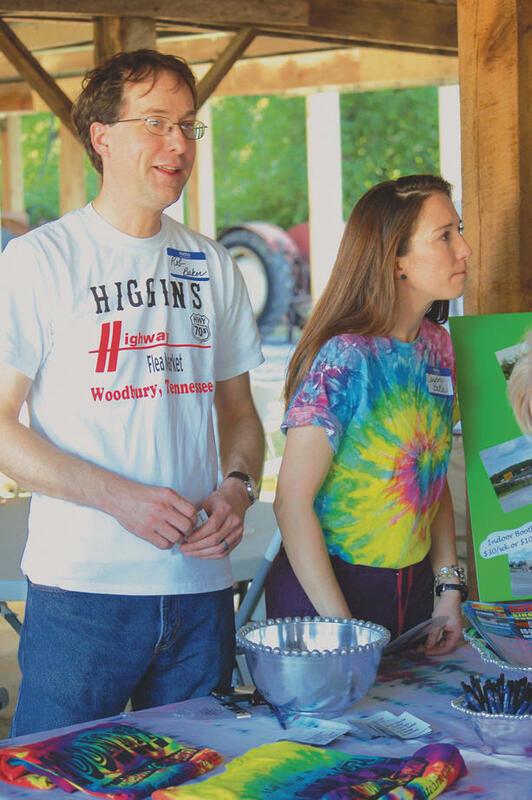 Rob and Candece Baker represented the Higgins Highway Flea Market. Cannon County proved to be a hit at the Rutherford County Chamber of Commerce's Business after Hours event at Cannonsburgh Pioneer Village. "It was a very positive thing for Cannon County and I think we showcased the attractions of Cannon County very well," said Carolyn Motley of the Cannon County Chamber of Commerce. More than 700 people visited the after hours event. The crowd was one of the Rutherford County Chamber's largest. "I'm proud of Cannon County and we made a great impression on the business people of Murfreesboro," Motley said. "The people of Cannon County need to know how well our businesses performed. They did a great job." The presentation was such a success that the Murfreesboro Chamber has already invited Cannon County back next year, she said. "The Blue Porch Café catered the event and Short Mountain Distillery furnished beverages," Motley said. The Readyville Mill, the Arts Center of Cannon County, The Corners on the River, Big Frog Custom T-shirts, Higgins Moon-light Theater, the Old Feed Store and Gathering Place Café, First National Bank of Woodbury, First National Bank of McMinnville and the Cannon Courier. "I thought it was hugely successful," said Wanda Thompson of The Blue Porch Café. "Cannon County showed really well and everybody was really responsive."